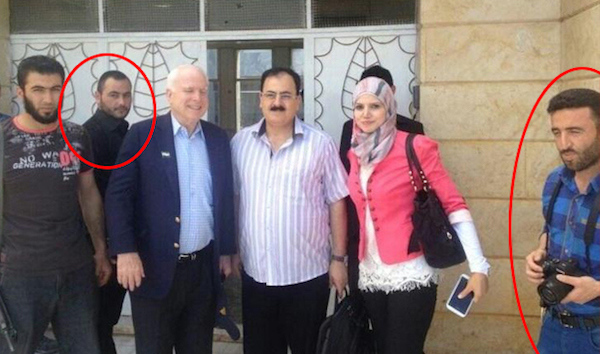 John McCain has been caught red handed yet again, this time with ISIS terrorist leaders in Syria. 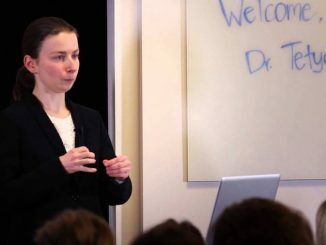 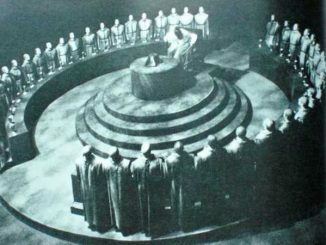 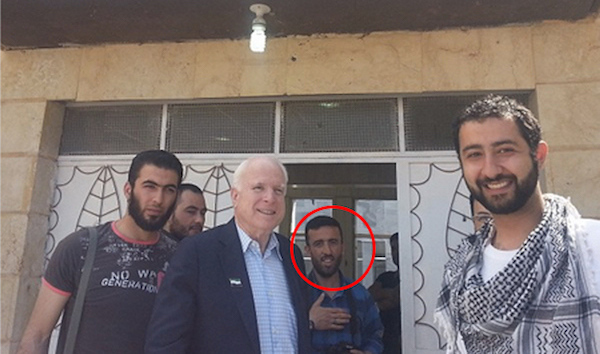 Senator McCain has courted controversy previously after a laptop belonging to one of his staffers was hacked, and a staged ISIS beheading was found in it. 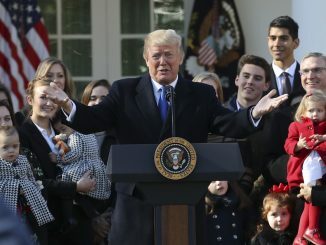 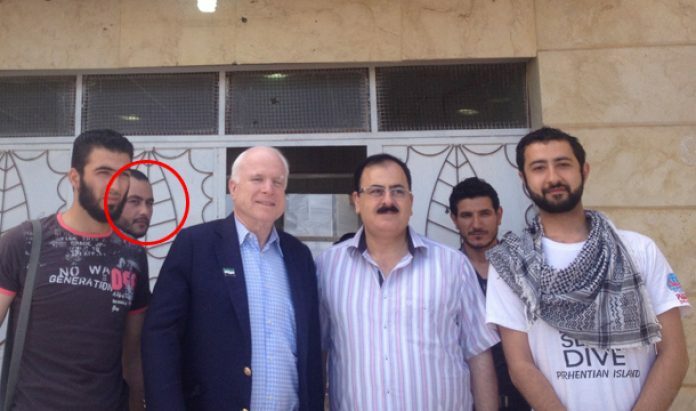 This time photo’s have surfaced (which were previously broadcast worldwide) in which the Senator is hanging out with the same individuals who are allegedly causing trouble in Iraq and Syria. 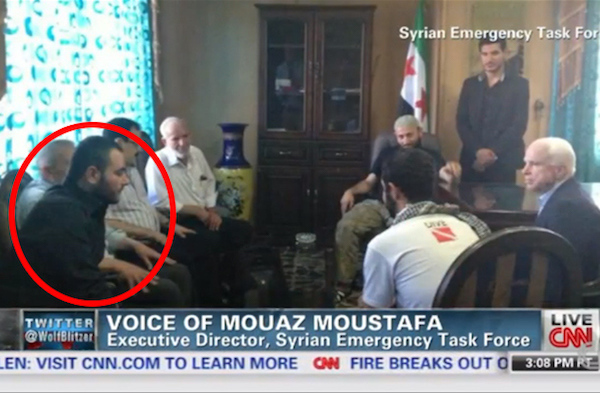 John McCain speaking with ISIS chief Abu Bakr Al-Baghdadi (aka Elliot Shimon) circled in red! 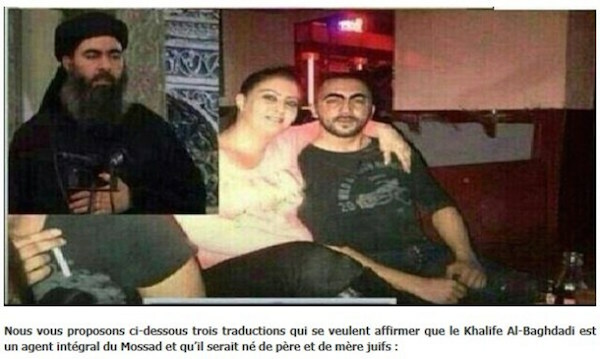 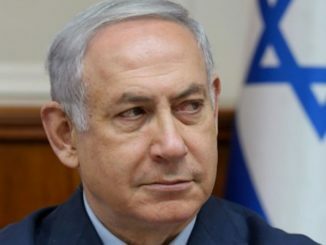 Simon Elliot (Elliot Shimon) aka Abu Bakr Al-Baghdadi is a Mossad agent.